The Morley PWOV Power Wah pedal is perfect combination of melding old with new. The pedal itself is a vintage wah and optical volume pedal with modern features. 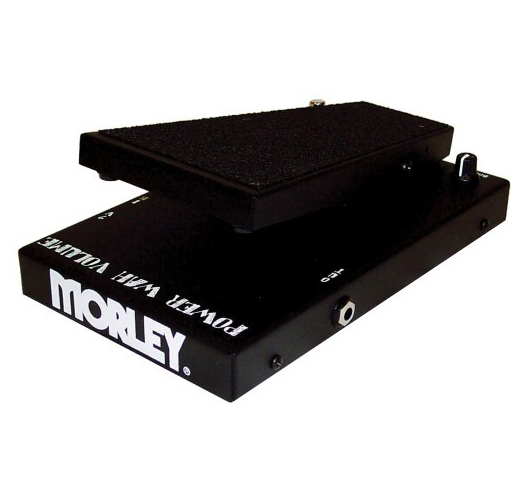 The Power Wah Volume pedal from Morley incorporates a number of pro features like Morley's custom HQ2 inductor for clear signal paths, wah level control, and electro-optical circuitry so there are no pots to wear out. TrueTone bypass ensures pure tone and maintains the signal in both Wah and Volume modes. The cold-rolled steel housing is built to withstand years of abuse. LED indicator keeps you aware of its status at all times.